David Walker will not be able to help Andorra for the rest of the season due to an injury. 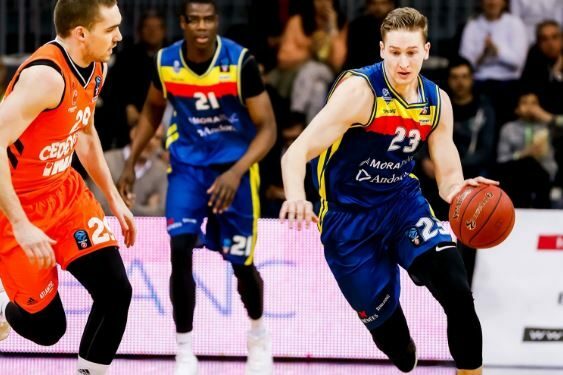 MoraBanc Andorra lost the first clash against ASVEL in the 7DAYS EuroCup quarterfinals which David Walker missed due to a shoulder sprain. The medical staff together with the player decided he should take a conservative recovery approach and avoid the surgery which will put him on the sidelines for the rest of the season. Morabanc Andorra forward David Walker will be sidelined for the remainder of the 7DAYS EuroCup season due to a shoulder injury. Walker sprained his right shoulder in his team’s Spanish League game against Real Madrid last week. He sat out Game 1 of the EuroCup Quarterfinals, in which his team lost in France to LDLC ASVEL Villeurbanne. Walker and the team’s medical staff decided on a conservative approach to his treatment in an effort to avoid surgery. He had averaged 9.0 points and 3.1 rebounds in eight EuroCup games this season, which was his second in the competition and third with Andorra.